The second animation task we were given was to create a stop motion animation by taking pictures and then putting them into a sequence. We were supposed to stick to the theme CIRCLE. I decided to use water and a glass as my motive. I wanted the bottle to slowly empty, while the glass would fill. The shape of the bottle and the glass are round, which connects to the given theme. In the following you can see my stop-motion animation. The animating itself was not as difficult as I originally thought. As soon as I understood the concept of frames and layers, I could easily animate given pictures. What I figured harder to do was the actual creating of the different sketches. Since they all have to be very similar and the missing of some, might make your animation look less smooth, I had to a lot of correcting afterwards. To compare the two different projects, the flower and the car, it has to be said that the flower took at least four times as long as the car. While creating the moving car, I was able to use the same sketch for every frame. The flower took longer, since I had to draw all the 42 frames in a different way. After I had done some research on how to animate with Photoshop and flower circles, I finally started my own bigger project. I used my Graphics Tablet to draw a lot of different frames of a flower, from slowly growing to be fully grown, following by the flowers death. I chose the theme of a flower because it relates to the theme of a cycle we were given at uni. The grow and the death of the flower keep repeating. As soon as the old flower dies, a new flower grows. Because I enjoyed animating something with Photoshop, I created another cycle themed animation. This time, I wanted to figure out, if it was possible to create a decent animation using only one single picture. I decided to quickly draw a car and by manipulating its positon in the canvas, it looks like it is actually moving. After the last workshop on animating with Photoshop, I could not wait to start my own little project. First I had to do a little more research on Photoshop animation and after that, I planned on finding some GIF’s to see what other people have done and to gain some inspiration. So, I read through a tutorial to refresh the knowledge gained from the seminar. In my opinion, this one provided by adobe itself is the most helpful. It did not only explain how to create frames and set the timing, but also gave a lot of information about layers, which I struggle with sometimes. 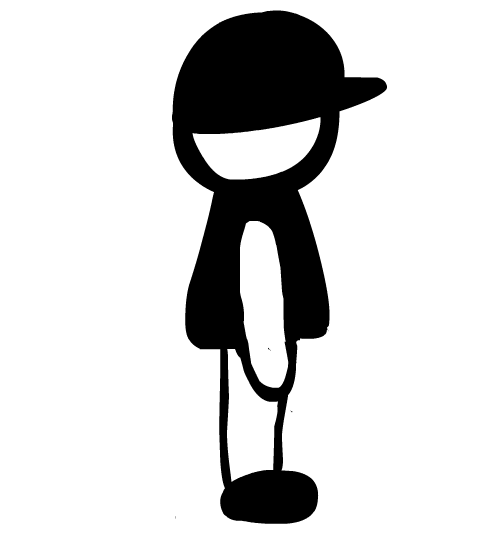 Since I then knew how to create an animation, I still did not know what to animate. 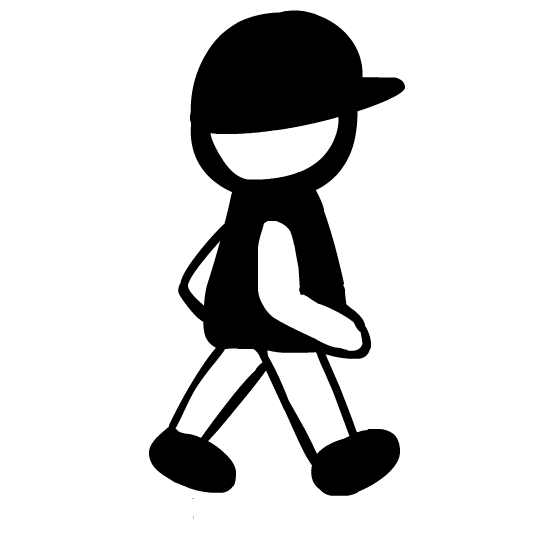 First, I looked at more walking cycles, like the one we have created in our seminar. I found this one very interesting, since the focus is just on the walk cycle because there is no background or other component to distract. Also the frames were drawn really easily so I thought I could simply copy that. 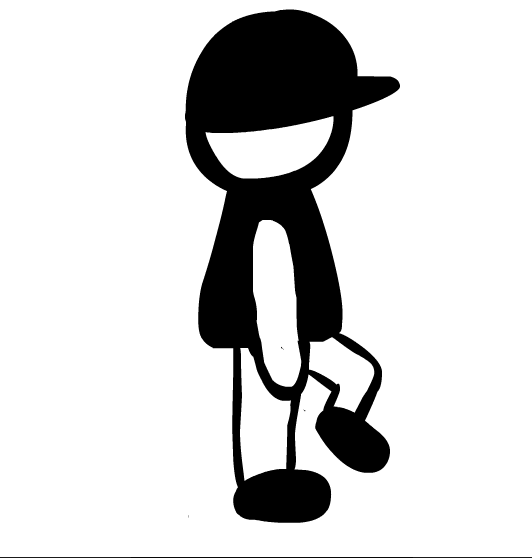 I then tried to do my own short walking cycle as practice. In the process I realized that it was not at all as simple as I thought it would be. Whatever I was trying, I just could not get my little man to walk as smooth as the one I found online. I soon discovered that this was due to my sketches and that I was missing certain frames. In the following you can see some of my frame sketches. Before I could finish adding the missing pieces, my laptop died and since I had not saved my project, I lost the cycle. Luckily I had taken a couple of screenshots. I then moved on from walk cycles, looking at other possible cycles. No name, 2014. Photoshop Help: Creating frame animations [ONLINE]. United states: Adobe. Available from: http://helpx.adobe.com/photoshop/using/creating-frame-animations.html#. [Accessed 03 November 2014]. “Pack“, 2012. DoodlePack. 2014. DoodlePack [ONLINE]. No place. Available from: https://doodlepack.wordpress.com/2012/03/. [Accessed 03 November 2014]. To gain knowledge in animations and animating, we were given two tasks. Also, we had a workshop on how to animate with Photoshop and seminars on the history of animation. The first task, we completed in our seminar. I was supposed to hand-draw a 12 frame picture sequence. I decided to go for a bouncy ball, since the shape stays the same most of the time and I was able to end my sequence right where I started. This way, the ball would look like it would be bouncing in a loop, which relates to the given theme CIRCLE, as well as the shape of the ball. To animate our drawings, we used a Praxinoscope, which is also called Spinner Scope. Since I did not have time to take pictures of the ball, I am going to do another animation project to complete my task. Then, at home, I am going to digitalize thesequence by using Photoshop. The second task is to create a short experimental sequence using my smartphone. Doing this task, I am going to explore the technique of stop-motion. That means I am going to take a range of pictures of not moving objects. It is important that those pictures show the same objects and that in all of the pictures the position of the objects slightly varies. By playing them in a sequence, I will create the illusion of the objects moving. Today, we had our very first seminar and workshop on animation with Photoshop. In the workshop, we created the walking cycle above by using different layers and frames and slowly moving the man to the other end of the canvas. The sketches were given to us.